Frauenkirchen (Hungarian: Boldogasszony, Fertőboldogasszony, Fertő-Boldogasszony) is an Austrian town in the district of Neusiedl am See, Burgenland. 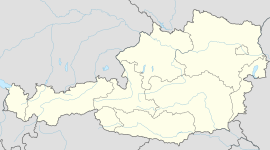 The community of Frauenkirchen, like the rest of Burgenland, belonged to Hungary (German-West Hungary) until 1920/21. After the end of the First World War, the territory of German-West Hungary was given to Austria by the Treaties of St. Germain and Trianon. Since 1921, the town has belonged to the newly founded State of Burgenland. Frauenkirchen was once one of the so-called seven communities (Siebengemeinden) of Jews in Burgenland. The Jews of Burgenland (along with the Roma and Sinti) were persecuted and wiped out by the Nazis between 1938 and 1945. A Jewish cemetery in the village memorializes the presence of a Jewish community here prior to the Holocaust. Frauenkirchen has been a municipality since 1982 (through VO 5). Mayor Josef Ziniel is a member of the SPÖ, Vice-Mayor Franz Wegleitner is of the ÖVP, and the Chief Officer is Erika Siebler. The mandate assignments in the Municipal Council (23 seats) is SPÖ 14, ÖVP 6, FPÖ 0, Grüne 0, and other lists 3, as of 2008. Frauenkirchen is the birthplace of the composer Mihály Mosonyi. Hans Niessl, Governor of Burgenland and a regional MP used to be the mayor.